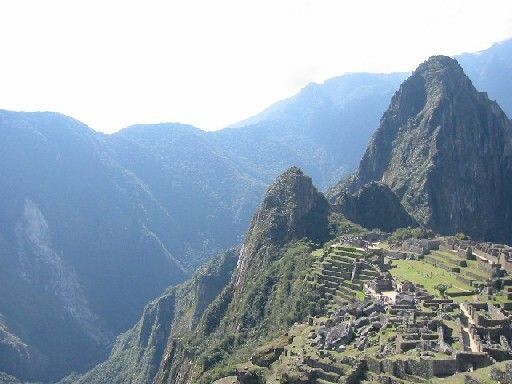 Today is our chance to watch the sunrise at Machu Picchu, and to listen to the spirits of the city's past inhabitants before the hikers from the Inca Trail arrive. The day is yours to enjoy these magnificent ruins. In the late afternoon we return to Cusco. 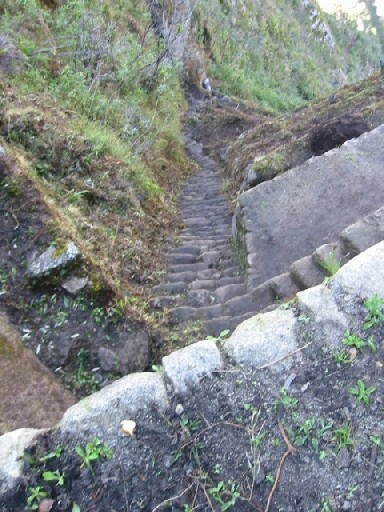 I climbed Huana Picchu , and back down, by foot, to the valley floor. 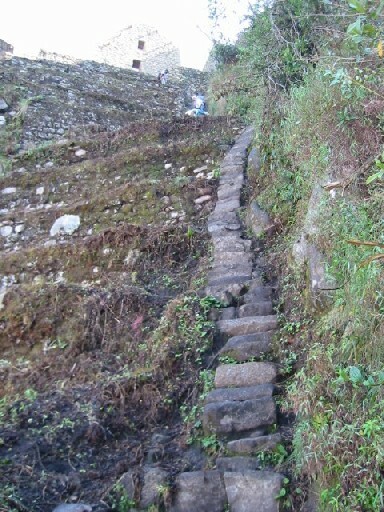 Descending the alternative steep slippery narrow "steps" from the rear at the crest of Huana Picchu required extreme effort even with a hiking stick in hand, and while exercising constant caution. Each step down was concentrated effort. I almost decided to ditch my too heavy backpack half way down in order to make the descent safely. It was the most scary situation that I can remember being in. About twenty minutes earlier I had stumbled in making way for another hiker near the peak, and in the process, came within inches of falling completely off the top, so my state of mind was not confident.